Why visit France in winters for the festive season? Christmas is undoubtedly the best time of the year coupled with New Year’s Eve in the whole of Europe. So, if you are planning a Europe holiday and deciding upon the countries to visit, then I am sure you won’t skip one of the coolest countries of Europe- France! 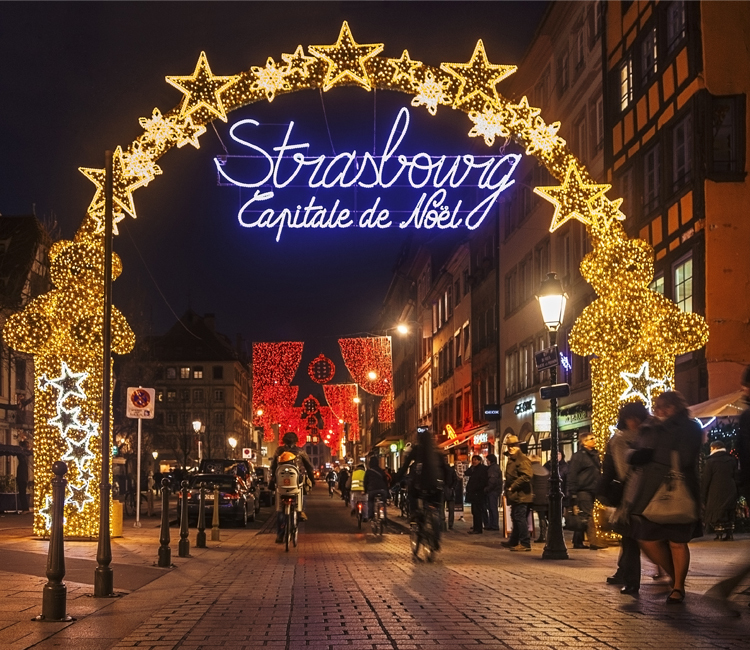 France has the best of food, wine, culture and on the top of everything- the best Christmas Markets and festive season celebrations. So why wait? Apply online France Visa and book your France Visa Appointment with any of the France Visa providers to enjoy this winter festive season in this beautiful nation. You will see the entire nation celebrating in an absolutely colourful and festive mood during Christmas in France. The cities and major landmarks In France get illuminated on Christmas and New Year’s Eve and the view is just breathtakingly phenomenal. French love food and during the Christmas, they eat lot of good and gourmet food. Christmas is the time when French celebrate with their family or friends and have their special Christmas Meal on December 24th i.e. Christmas Eve. A typical French Christmas meal would have first of all bûche de Noël (which literally means a Christmas Log) which is a type of Swiss Roll decorated with Christmas decorations and covered with butter cream, champagne or a sparkling wine, oysters, shellfish, mussels and other sea-food, foie grass (luxury dish prepared with liver of duck or goose), lots of cheese, smoked salmon, main course meal consisting of turkey, guinea fowl or even pheasant with stuffing of chestnut and served with veggies, salad and many other desserts. So, if you get an invitation from your French host for a Christmas Eve dinner, make sure you enjoy their traditional and lavish Christmas dinner and have a gala time there. The other highlight of Christmas are undoubtedly the world famous Christmas Markets and the Christmas decorations. The City of Lights gets beautifully illuminated and you can spend your entire evening admiring the beauty and magic which this city holds. For some of the most beautiful Christmas markets in France, you can visit Reims (Capital of Champagne) which is also a UNESCO World Heritage Site, Strasbourg (Alsace), Mulhouse (Alsace), Colmar (Alsace), Caen (Normandy), Rouen (Normandy) and many more traditional Christmas Market all across Paris. Don’t forget to enjoy ice skating in the ice rinks which are placed near the Christmas Markets and the utmost delectable food there. 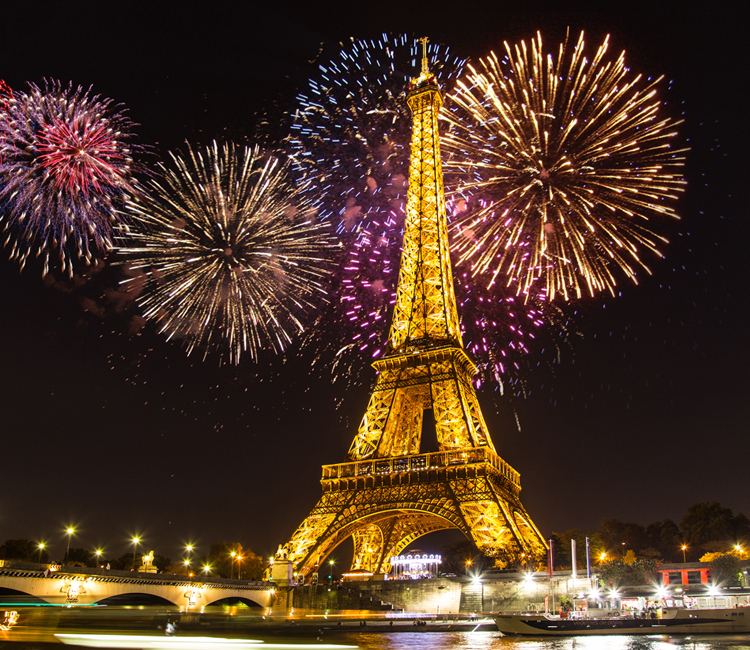 If you are staying in France at New Year’s Eve as well, then nothing can be better than that. You can visualize the biggest of the celebrations and jaw-dropping illuminations. Head towards the Eiffel tower with your buddies or family during night at New Year’s Eve and you can enjoy an exceptional view of this City. So people just plan a quick holiday to France this festive season and let your year end on a very beautiful, happy and magical note in France.